Warrington Hospital is easily accessed by road being close to the North West motorway network. We are around 30 minutes driving time from the cities of Manchester, Liverpool and Chester. We are located to the north of Warrington town centre between the A57 (Froghall Lane) and Lovely Lane. Our postcode is WA5 1QG. We work closely with the local councils to develop links to the hospitals. The Network Warrington website has a range of information on the travel links to Warrington Hospital and can help with your journey planning. From Warrington Interchange, services 16, 16A, 20A and 21A operate to Lovely Lane where Warrington Hospital is located. Warrington Bank Quay and Warrington Central train stations are both around a 15 minute walk from the hospital. For information on all services you can also call the national Traveline number on 0871 200 22 33 which can provide you with all public transport information you will need. Or use the Traveline journey planner to plan your journey to the hospital from your current location by clicking here. We also offer cycle parking for those wishing to cycle to the hospital and there is a range of cycle stands around the site, please ensure you use a bike lock. We have several visitor car parking areas at the hospital which are well sign posted at each entrance. Although the parking is much improved, if you are driving to the site please allow time to find a space as parking areas can still become very busy at key times. Also, it is worth investigating the public transport and hospital shuttle bus options for getting to the site which may make your journey more convenient. 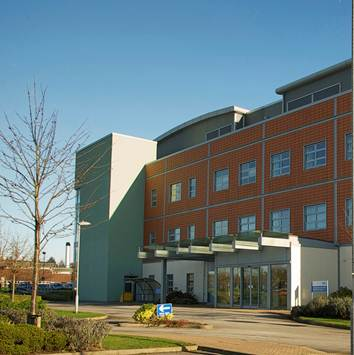 Car Park 2 is a smaller car park opposite the Ophthalmology (eye) Centre near the Kendrick Wing (best for visiting ophthalmology, MRI and the new Cardio Respiratory Department). Car Park 3 is next to Croft Wing at the rear of the site near the Guardian Street entrance (best for visiting the maternity, children's and Croft Wing areas). All patient car parks are clearly sign posted. Please note that we operate a clear one way system on the site. If a patient is likely to be kept in the hospital over 24 hours and their car is left on site, the daily charges of £6 will need to be paid to avoid receiving a fine or arrangements for a weekly saver pass can be made by speaking to the cash office (Warrington) or general office (Halton) in case of emergency admissions. Patients in receipt of certain benefits and allowances may be entitled to assistance with travel costs to hospital. 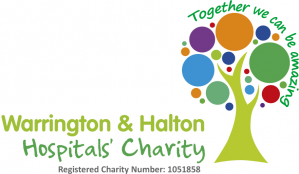 Information and reimbursement may be obtained from the cash office at Warrington Hospital (located near the main entrance area) and the General Office at Halton General Hospital (located in the main reception). Please note: Patients entitled to assistance through HTCS are only eligible to claim the cost of their travel to an Accident and Emergency Department if the reason for their attendance is in relation to a pre-existing condition for which they are under the care of a consultant. Where patients attend A&E for any other reason they would not be eligible for assistance through HTCS for help with their costs. Click on the map or the link above to access our new interactive site plan of Warrington Hospital showing the departments, car parks and other key information. By clicking on the map in the my hospital map website or using the index you can find exactly where different departments and wards are on the site in advance of your visit. You can also print the map directly from the website.